Ready to eat, ripe "Thimbleberries" right off the vine. 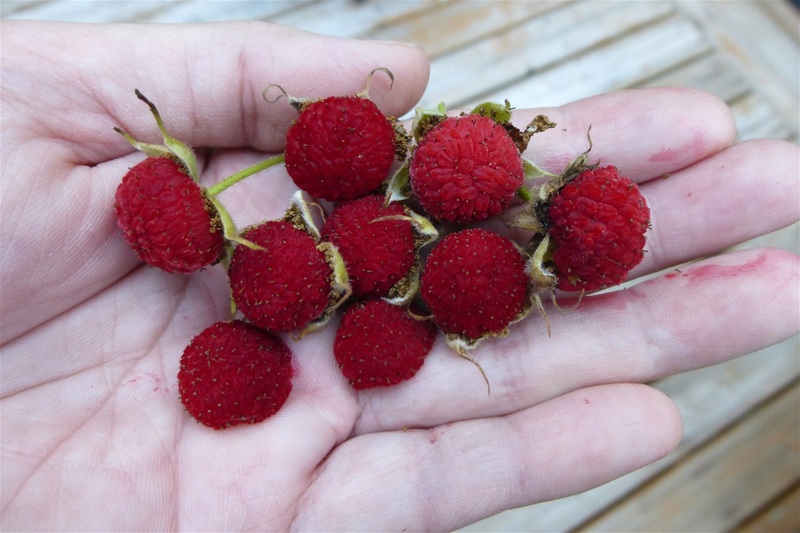 These are very delicate berries as just the little cap is removed and very soft, they don't hold their shape much like a "Beret" cap or hat, so that is why I am showing them on their husk. They are sweet and have a kind of a marmalade consistency (not juicy like most beries) with a very light tart note at the end. They also have a somewhat crunchy texture because the seeds are many and very tiny. Very pleasant to eat but when harvesting, you must be so delicate in removing them as they fall apart easy. Better to snip them with the husk still on and then remove the berry cap.